Detecting, disrupting and denying terrorist financing is vital to degrading terrorist organisations . Counter terrorism financing (CTF) measures can reduce terrorists’ access to funds, restricting their ability to finance their operations. And tracking the movement of funds can provide important intelligence on the groups and their connections. Terrorist organisations take advantage of opportunities created by technology, poor governance and weaknesses or changes in the financial system to circumvent CTF measures. As the terrorism financing environment is constantly evolving, CTF arrangements must be continually reviewed and refined. They’re only as strong as their weakest link. ASPI has just released our Special Report, Detect, disrupt, deny: optimising Australia’s counterterrorism financing system , which explores the strengths and weaknesses of Australia’s CTF system. The report looks at the ways that terrorist organisations raise, move and use funds and examines the key CTF systems and actors. The conclusion is that Australia’s overall system is robust but could be enhanced and strengthened—and will need to evolve. The Australian government’s 2016 review  (PDF) of the Anti-Money Laundering and Counter-Terrorism Financing Act (AML/CTF Act) is a good start to improving the CTF system, but it doesn’t go far enough. To start, Australia needs to ensure that the legislative regime meets the global standards set by the international Financial Action Task Force  (FATF). The FATF’s 2015 mutual evaluation  (PDF) of Australia’s AML/CTF regime found that to not currently be the case. The weaknesses in Australia’s current system include minimal or non-existent regulation of ‘gatekeeper professions’ (lawyers, conveyancers, accountants, high-value goods dealers, real estate agents, and trust and company service providers) under the AML/CTF Act, which gives terrorist financiers exploitable opportunities. Charities and non-profit organisations (NPO) are other avenues for terrorist financing. With some NPOs more vulnerable to terrorism financing than others, Australia needs to undertake a comprehensive risk assessment of NPOs to inform oversight of the sector. The Australian Charities and Not-for-Profits Commission (ACNC) can play an important role , as can information sharing between the ACNC, intelligence and law enforcement agencies. But Australia should go beyond simply meeting global standards. It should also respond to other systemic weaknesses. Specifically, we’re is too slow in responding to emerging terrorism financing methods , especially the raising and moving of funds using new technologies like social media  and virtual currencies . The government needs to develop mechanisms to better identify and understand innovations in products and services, with a focus on terrorism-financing risks, and put in place timely measures to mitigate those risks. Cross-border movements are a particular problem. 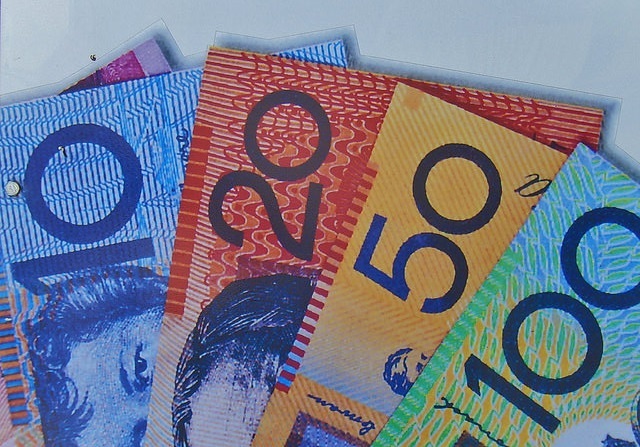 While Australia requires the cross-border movement of cash totalling $10,000 or more to be reported, it needs to expand the regime to cover other forms of value, such as stored-value cards and bullion, and to increase the penalty for failing to report cross-border cash movements. The timely, free flow of information about terrorism-financing risks, methodologies and vulnerabilities among key stakeholders—government agencies, the private sector and international partners—is crucial in the fight against terrorism financing. But there are currently many barriers to sharing information. The AML/CTF Review  recognised that the Act’s secrecy and access provisions ‘are overly complex and impede information-sharing’, and recommended the development of a simplified model for sharing information. That’s a positive development. One of the secrecy and access provisions needing change is the tipping-off  provision, which prevents a regulated company tipping-off a suspect customer that they’ve been reported to authorities. This prohibition should remain but be relaxed in certain areas. In particular, the provision shouldn’t prevent regulated companies from sharing information about terrorism financing with other companies in their sector where there’s a suspected terrorism financing risk. The Privacy Act also needs amendment to allow personal information to be shared where national security, terrorism and terrorism financing is at stake. Changes to laws that unnecessarily restrict information sharing are important. However, many barriers to information sharing are cultural, not legal, as ASPI’s David Connery noted  (PDF). So government should work with the private sector to explore different options for developing a trusted environment for sharing terrorism-financing information and for building a greater understanding of emerging threats. The transnational nature of terrorism financing demands that other countries also need to take steps to improve their systems. Australia can play a role by building on its existing good work in the Asia-Pacific region to provide capacity building and technical assistance to our neighbours. We’re also well placed to become a leader in CTF education. Where countries are not taking sufficient CTF action due to political reasons or inertia, Australia should also place political pressure on recalcitrant countries to change. Simon Norton is an analyst in ASPI’s Strategic Policing and Law Enforcement program. At the time of writing Paula Chadderton was a visiting fellow at ASPI. Their new report, Detect, disrupt and deny: optimising Australia’s counterterrorism financing system, was released by ASPI today. Image courtesy of Flickr user Michael Coghlan.